If you can’t make it to the gym, or you just aren’t a “gym person,” but you want a killer total body workout check out what I have created below. These are exercises you will perform one after the other in sequence. Taking 10-20 seconds rest between each exercise. One full round of this exercise complex is call a “wave”. After one full complex wave take 45-75 seconds rest and repeat the complex 1-3 more times. Once you are done with your sets of Complex 1 then perform Complex 2. Do this program 3 times per week. It should take you less than 20 minutes to complete. These exercises should all be performed in a slow, controlled manner in order to really engage and feel the muscle being worked (Unless it’s noted to explode and work on speed as some exercise are below). I added Youtube links for the different exercises to show you how the exercises should be performed if you are unfamiliar with them. Glute bridges – Excellent core and glute exercise. Make sure you keep your weight on your heels and Really squeeze your glutes at the top of the movement and hold for 2 seconds each rep http://www.youtube.com/watch?v=MwNP1Ure28Q You should feel this in your core and your glutes NOT in your back. I created this program in June 2014. I used myself several times personally and with people I’ve trained. It can be rather taxing on your body. You really need to make sure your nutrition is on point, especially your peri-workout nutrition. I take in the 65-75% of my daily carbs around the time I train. Starting 45 minute pre-workout, intra-workout, and final carbs within 30 minutes of completing this workout. I have trained several people with this routine and nutrition protocol. The ones who stuck with it gained appreciable muscle mass while staying lean or even losing fat. I lean up rather well using this routine without having to add any additional cardio work. I PROMISE YOU, the results are rather dramatic. 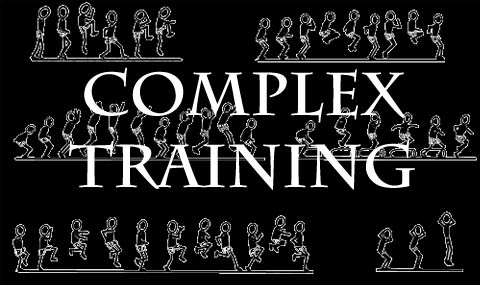 Complexes are not a new style of training, nor something I came up with. This is just my spin on using complexes, as they are not complexes in the traditional sense. This is going to be a 3 day split based on Push/Pull/Leg. It’s mainly comprised of complexes – a series of exercises performed one after the other with 10-30 seconds taken in between each exercise in order to set up the next exercise. I refer to one completed round of the complex as a “wave.” I use pretty straight forward compound movements for the most part. You will take about 45-90 seconds rest between each “wave”. If you need more time take it, this is not set in stone. I have added Youtube clips of exercises in case you do not know what they are. If you need any other info just ask. We will do this for the first 4 weeks and see how you are progressing and then make changes from there as needed. DB Jump Squats – 8-10 reps. Use 10-20% of your max squat so maybe start with a 10-15 lb. DB in each hand to get movement down. http://www.youtube.com/watch?v=4Cynl9l0eB4 This example in the video is ok but don’t pause at the bottom like she does, just land, squat and fire right back up into the jump. Body weight lunges – 8-10 reps on each leg. Do these lunges very deep and long to active the glutes, hamstrings and VMO (Tear drop muscle around knee). Do these in a very slow controlled manner, focusing on feeling the movement. After 4 weeks I do a deloading week. 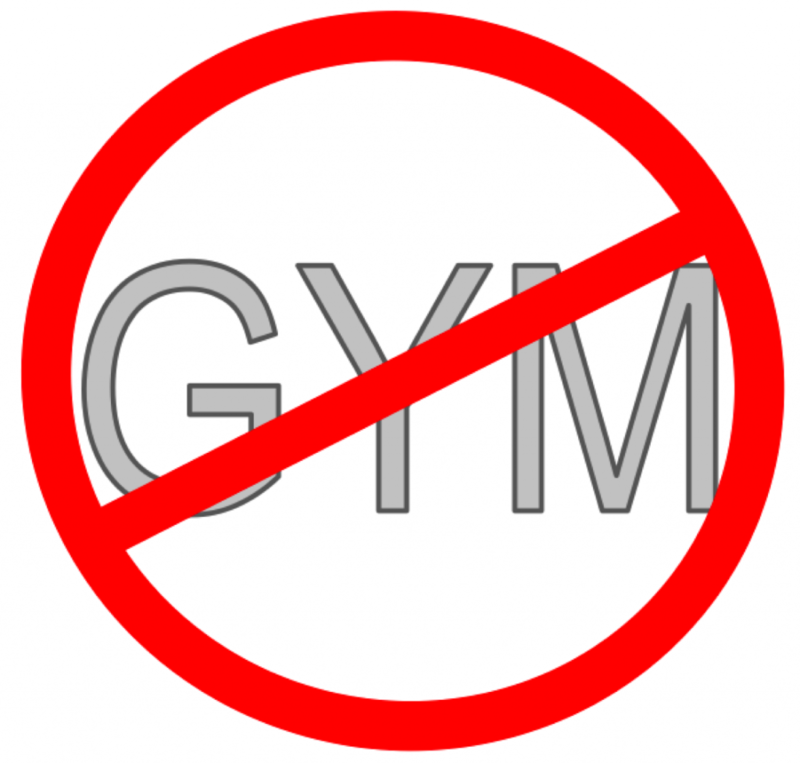 I will drop the volume and weights about 30-40%, but stick with the same workout. Some athletes do not need this type of deloading, but for me its a must. My body starts to slow down progress and I tend to flare up old injuries if I don’t take a break. This is me personally, it is important to understand and listen to your body as your progress with your training.